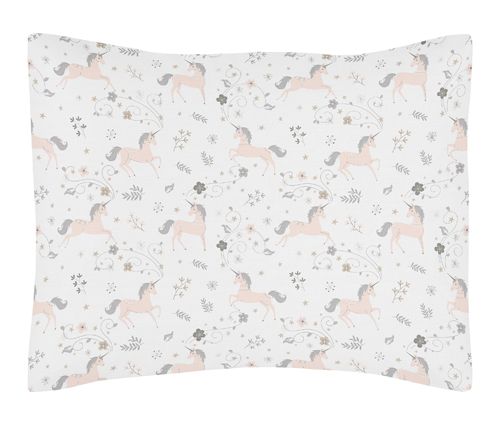 Unicorn standard pillow shams are created exclusively to coordinate with their children's bedding collections. 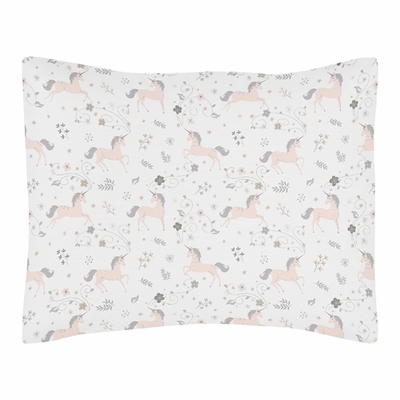 This pillow sham is a quick and easy way to complete the look and theme in your child's bedroom. Fits all standard size pillows. Dimensions: (1) Standard Pillow Sham - 20in. x 26in.